On March 29, 2015, Silver Airways touched down in Panama City Beach at the Northwest Florida Beaches International Airport (ECP). The first flight arrived from Orlando, Florida, followed by a flight from Tampa, Florida. 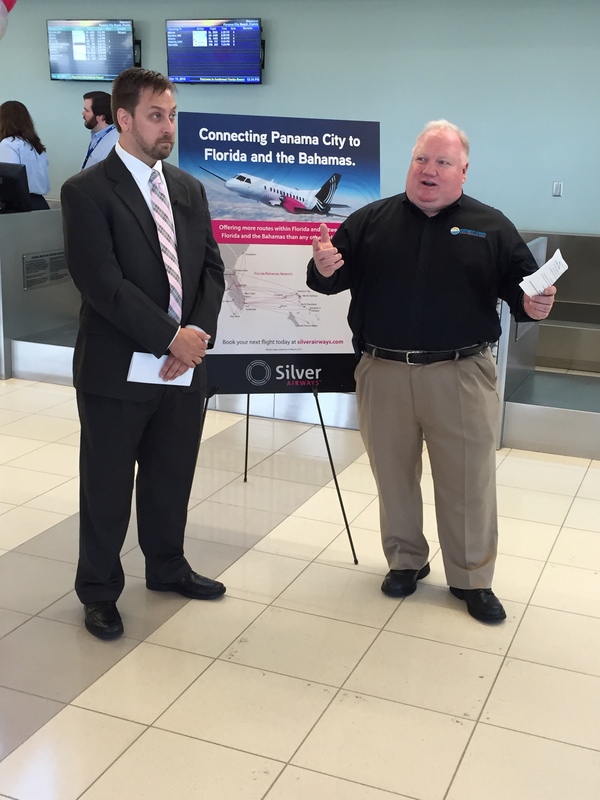 As representatives of Silver Airways like to say, "Silver Airways connects Panama City Beach to Florida and the Bahamas." To celebrate the new flights, Silver Airways is offering flights for as low as $89 each way. Go to www.silverairways.com to browse for deals. This new flight service makes it a breeze to take a trip between one of the world&apos;s favorite amusement park (Disney World in Orlando) and one of the world&apos;s most beautiful beaches! Tampa Bay Bucc&apos;s fans will have an easier time catching a game, or retreating to a relaxing stay at our beaches during the off season. Guests of the inaugural flight were greeted with welcome bags, information on Panama City Beach, and cupcakes in the pink, silver, and white colors of Silver Airways.